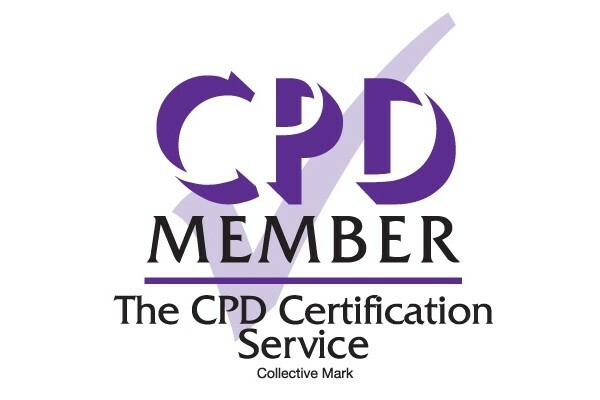 This CPD approved one day course delivers high quality practical training and covers relevant theory, legislation and guidance; DW145, BS9999:2017 and BESA TB001 for those involved in the fire damper testing market place. The one day Hasman fire damper testing competency course is designed to cater to industry demand for approved competency training. 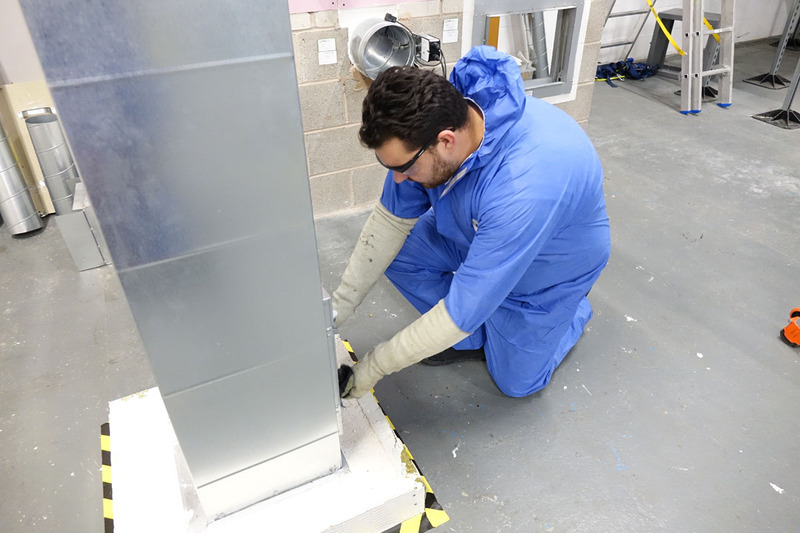 Practical and theoretical training are delivered in the course and candidates will be taught to safely carry out fire damper drop tests, identify issues and problem solve. The one day course is CPD approved and counts as 8 hours of continuous professional development. 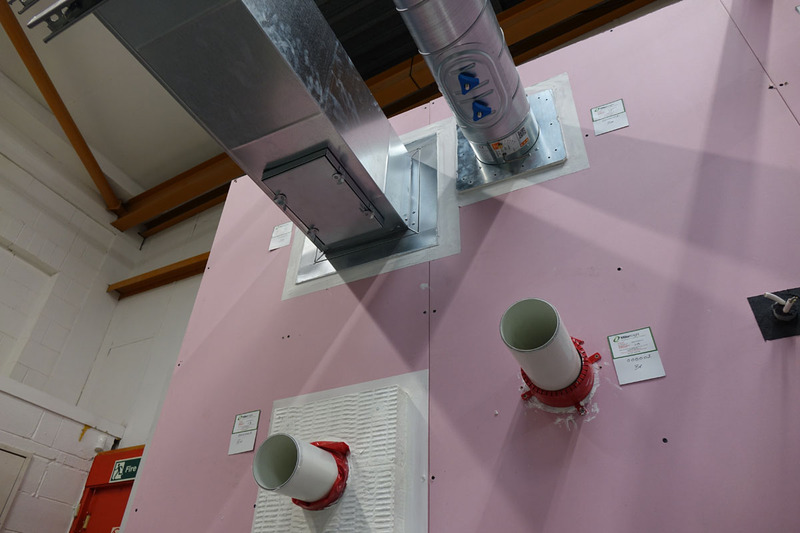 Fire damper testing is delivered across a range of different dampers in our training centre. 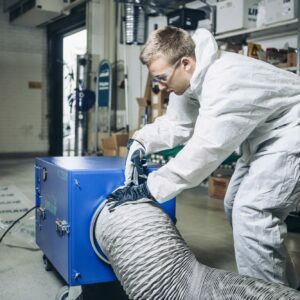 Damper types include both “in airstream” and “out of airstream” designs and also motorised fire dampers. Our training centre has been designed to provide test scenarios which are realistic and prepare candidates for real world working conditions. 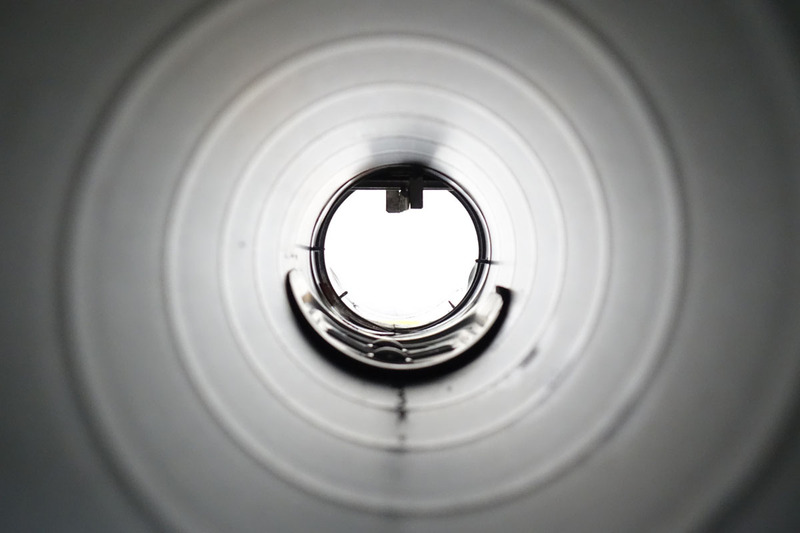 Our expert tutors understand how to guide both new learners and experienced engineers to test safely in accordance with legislation and industry guidance. 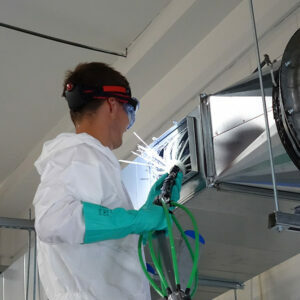 Fitting of access panels and making good of ductwork insulation types is also covered within the practical training. 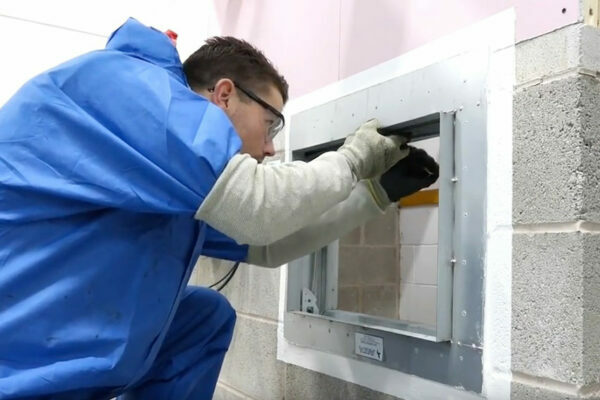 Candidates practical skills will be assessed and developed throughout so that they are competent to fit system access, isolations and carry out drop tests. Legislation and industry guidance is covered in detail during the course. This ensures candidates understand principles and reasons for fire damper testing. This will include knowledge on statutory requirements and BS9999:2017, BESA DW145, the RRFSO and BESA DW144. 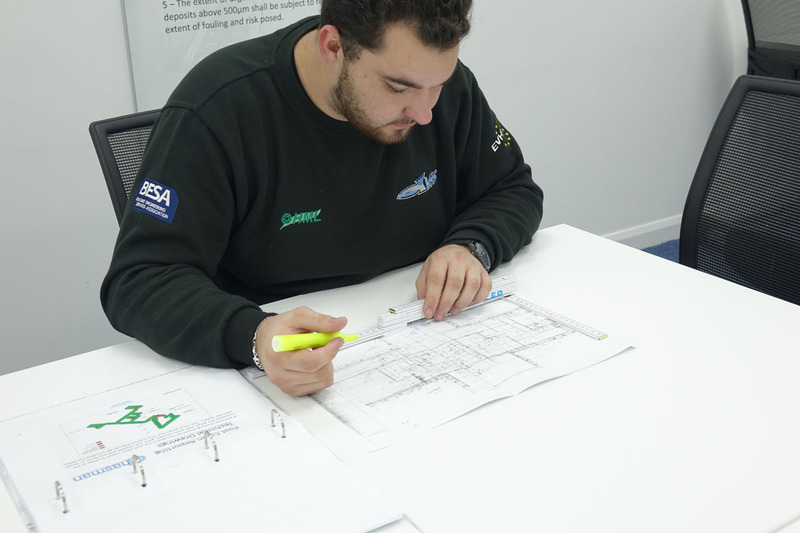 Understanding technical and schematic drawings is a key skill for testing engineers, it’s essential for sales people pricing fire damper testing, this is covered within the training. Reporting procedures and expectations are clearly laid out in the training presentation and learner packs. These skills are assessed in a multiple choice question paper and technical drawing assessment. Each candidate will receive a detailed learner pack containing key information relating to fire damper testing. Learner packs provide useful links to additional websites for future reference. On successful completion of both practical and theoretical elements candidates will receive a certificate from Hasman valid for 3 years. 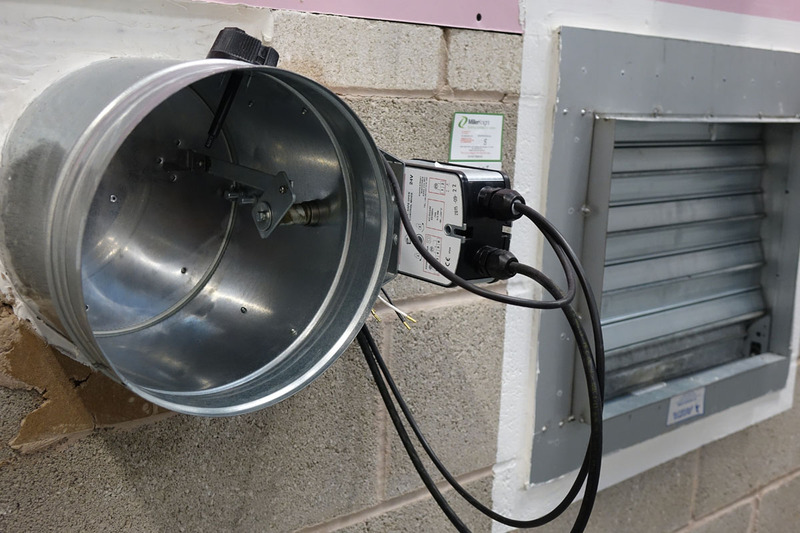 In order for our staff to be fully compliant with industry standards and best practice, along with a good comprehension of statutory regulations, we utilise Hasman to deliver training in fire damper testing to all of our engineers and contracts managers. It is the only CPD approved course that covers both practical and theoretical aspects of current best practice. This reassures our clients of our capabilities and professionalism. A great course to arm you with all legislation, theory and practical hands on experience. The facilities and knowledge and experience of the staff are excellent. Informative, well laid out and learnt a lot, good course, instructors very infortmative. Excellent course well worth doing. Great course very informative and great instructor. Definitely gained alot of knowledge from the training, and lunch was amazing ! 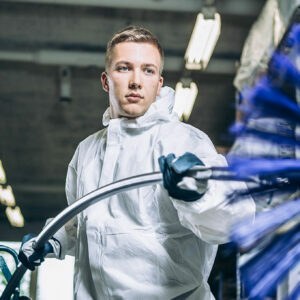 An informative and professionally presented course giving an even mix of legal requirements, theory of installation and maintenance and hands on practical work. Instructor very knowledgeable and reassuring and worked at a good pace ensuring no-one was left behind. 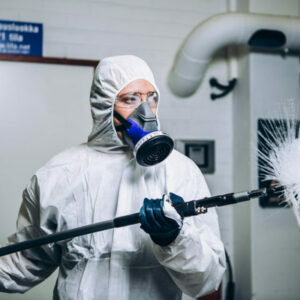 For me, as a potential for assessing the installation process, a little more time on the legal aspects and the role of the Responsible Person and the fire risk assessment would be useful, but overall excellent. A course definitely worth attending if you want to keep up to date with the latest standards and requirements. I would recommend to anyone wanting to know the ins and outs of fire dampers.